LinkedIn, founded in 2003, has grown from “That place where you can put your resume online,” to the undisputed king of professional social networking. LinkedIn now has “more than 546 million users in more than 200 countries and territories worldwide,” and is on track to generate over $6B in revenue in 2018. That’s good news for its owner, Microsoft, which bought the career networking site for $26.2B in December, 2016. Unlike many large companies that make large acquisitions, only to ignore them or worse (I’m looking at you, Yahoo! ), Microsoft appears to be taking good care of its LinkedIn baby, with significant updates to the feed (addition of native video), an announced major update to LinkedIn groups (as a group admin I say it can’t come soon enough), and an engine that seems to get better and better each day at suggesting connections. LinkedIn is no longer merely a place to host your resume and perhaps find a job, it has turned into a content marketing platform, a place where executives, entrepreneurs, and working professionals can become thought leaders. Here are a few other quick, fun facts about LinkedIn (last updated 7 March, 2018) and what they mean for you as an influencer or thought leader. There are two important takeaways from this stat; 1) 146 million is a HUGE audience if your audience is primarily based in the U.S., and 2) if your audience isn’t in the U.S., you likely still have a huge audience. Case in point, a lot of my audience is in the U.S., but a healthy part is also in China where I’ve spent time, and there are over 32 million users there as well. And those companies are posting over 3 million jobs on LinkedIn, just in the U.S., every month. If you’re producing thought leadership content to upgrade your career, put that content on LinkedIn where it’s clear your audience (companies looking to hire people like you) are obviously active. I had to do a double take with this one, but that’s exactly what LinkedIn claims on their blog. I supposed the study results may be skewed in some way (perhaps they only polled LinkedIn users), but regardless, if you’re a B2B marketer and you don’t have a presence on LinkedIn or it isn’t a heavy part of your focus…well, you would appear to be missing out, big time. Start producing content, become the expert in your field, and figure out how to get a piece of that action. Want to make quality connections on LinkedIn? 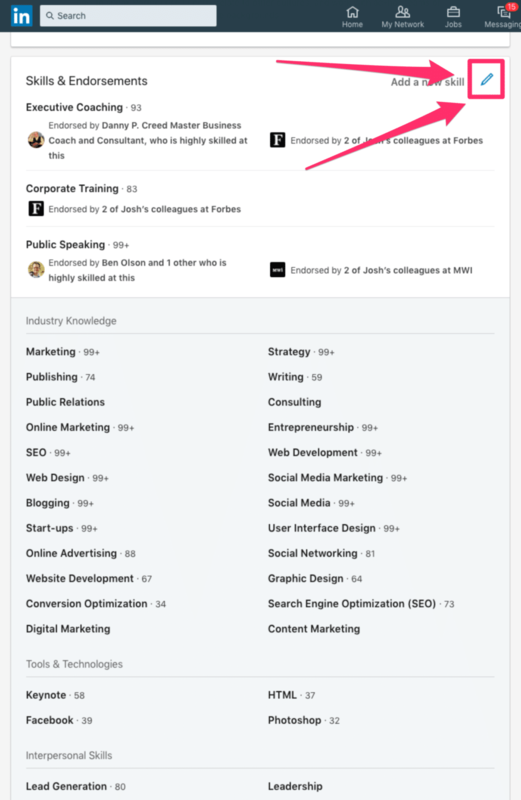 Consider trying out LinkedIn’s Career Advice feature that connects you with mentors or mentees, depending on whether you’re in the advice-giving or advice-getting stage (or both). Alternatively, you don’t have to use any special feature on LinkedIn, just recognize the fact that people want to be mentored, and start mentoring by producing content on LinkedIn that answers questions you are an expert on. They’re also contacted more by other LinkedIn members, and receive up to 17x more profile views. Make sure you have the skills section of your profile filled out. Oh, and don’t list Microsoft Word as a skill, that’s so 2001. You’ve heard it say it’s not what you know, it’s who you know? That’s more true than ever, but the good news is that today it’s easier than ever to “know” a lot of people. Not only can you connect directly to up to 30,000 people on LinkedIn, you can reach many, many more by creating compelling content that establishes you as an expert in your field. And why should you care? Because if people are using these words in their profiles, they’re also searching for them on LinkedIn, and noticing them when they come up. Does that mean you should make sure to include every one of these words somewhere in your profile? No, but you should at least be aware of them. Also, notice the words that aren’t on the list like “visionary” and “guru.” I would also recommend not using the words “thought leader” or “influencer” to describe yourself. If others describe you that way, that’s fine, but it’s weird for you to say it about you. LinkedIn surveyed 2,000 business leaders and found out that what most of them are looking for isn’t technical ability, but soft skills. The soft skills they said are the most valuable are leadership, communication, collaboration, and time management. Consider creating content for LinkedIn that includes these topics. For example, if your genius zone is sales, then create content talking about what it means to exhibit leadership in a sales role, or interview some of your sales leadership heroes. If your focus is HR, talk about the latest trends in the HR space that have to do with time management. As LinkedIn recommends, “If any of these skills speak to your strengths, make sure to add them to your LinkedIn Profile.” And if you don’t have any of these skills, you may want to consider picking them up. As a thought leader, the takeaway here is that if you have one or more of these skills, you should be creating content about it. If you’re an expert at mobile development when’s the last time you wrote a post about it or posted a video talking about a challenge you recently overcame? Some of the stats I share below may not come from LinkedIn, where video is still a new thing, but the fact is that video on LinkedIn is hot. When it comes to what gets share on LinkedIn, the network says users are 20x more likely to share a video as opposed to any other type of content. If the trend on other networks is any indication (and my humble opinion is that it absolutely is), video is going to be huge on LinkedIn. In a mere 14 months Facebook grew from one billion videos views per day to 8 billion. Is less than one year Snapchat went from 4 billion to 10 billion views. Instagram video consumption is up, and there’s a similar trend on Twitter. Companies that use video grow revenue 49% faster than companies that don’t. 51% of marketing professionals worldwide say video is the content with the best ROI. If you want to build a community or following on LinkedIn, start making videos today. Also, 85% of video is watched with the sound off, so make sure you get your videos captioned so people can “read” your video. I used LinkedIn for years without feeling like I was getting anything out of it. Part of that was the system itself, part of it was me. Now it has become a daily staple, a substantial chunk of where I spend my time consuming and creating content. Even though I can publish my content on Entrepreneur, Mashable, or a host of other publications, I still choose to create a lot of content for LinkedIn because of the results I get. What about you? Where are you finding the most success building your personal brand or otherwise marketing yourself or your company on LinkedIn? Want to become a thought leader on LinkedIn and generate sales, recruit talent, and advance in your career or grow your business? If you’ve seen others getting tons of comments on their LinkedIn posts, attracting all sorts of attention to themselves and their businesses, and it’s got you feeling small, left behind, and wondering if you’ve got what it takes, trust me, you do. It doesn’t take a ton of time or knowledge to master. The people who are successful on LinkedIn got that way because they know a few of LinkedIn’s secrets and have combined that with knowledge of key systems of influence. Once you know what they know, you’ll be able to achieve similar levels of success. I figured it out, which led to posts with millions of views and thousands of comments, and tens of thousands of new, meaningful connections. That attention and those connections have led to new clients and sales for my businesses. Early in 2018 I launched an online course on how to do what I did on LinkedIn. Now I’ve joined forces with Robyn D. Shulman, a #1 LinkedIn Top Voice and official LinkedIn Influencer, to overhaul that course and make it even better. We want to make this course your expert guide to get real results on LinkedIn, and to do that we need your help, so for a limited time we’ve got a special offer for you. Sign up for the current course using the code “FIRST” (without quotes, all caps) and if you’re part of the first 10 to sign up, you’ll get it at 75% off, just $125 instead of the normal price of $497. You’ll also get the new course when it rolls out in about three months at NO ADDITIONAL COST. That’s just $125, one time, and you get immediate access to the current course, AND lifetime access to the new course when it rolls out. Once the first 10 spots are gone, we’re still offering plenty of discounts. The next 20 people who sign up will get the course for just $149, the next 30 for $199, and everyone else will get it for $249. And yes, regardless of whether you’re one of the first 10 or not, you’ll get the new course when it is released at NO ADDITIONAL COST. Learn how to do this correctly right now, and begin taking advantage of the opportunities that are waiting for you on LinkedIn that will build your career and business. 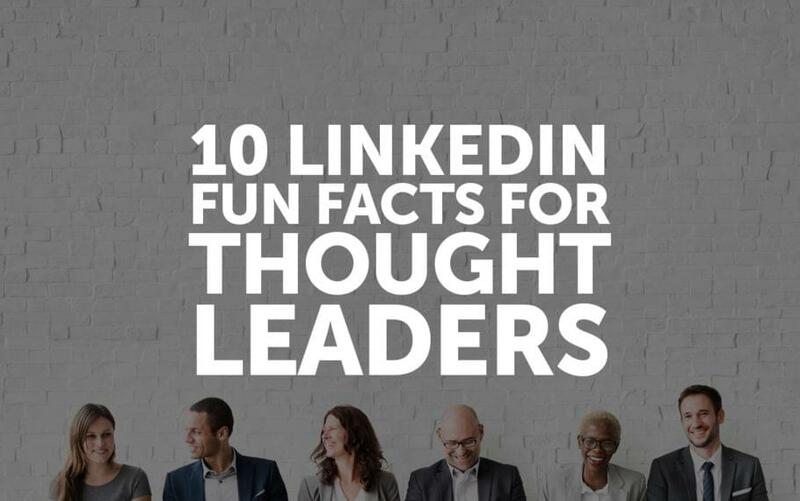 Why should everyone else reap all the benefits of thought leadership on LinkedIn while you miss out? Enroll in our course today and unlock your full potential.